Nanny vs. Daycare, Which is Right For You? According to the Center for American Progress, in most families in the U.S., all adults work, with fewer than one in three children having a full-time parent that stays at home. As the majority of kids under five years old require childcare from someone other than a parent, the decision is usually not whether mom or dad will be able to stay home, but which type of care to choose. If you’re considering hiring a nanny vs. putting your child in daycare, thinking about these factors as well as some of the pros and cons can help you make the best choice for your family. A daycare center is typically a lot less expensive than hiring a nanny. While nanny costs can vary depending on the number of children, location, and their level of experience, you’ll usually have to pay quite a bit more. But there is another option: nanny sharing. If you have a friend, family member, neighbor or co-worker looking for childcare, you may be able to do a nanny share, where two children share one nanny, making it more affordable. However, the bottom line is that both daycare and nannies can take a big chunk out of your budget. In fact, studies have found that families in the U.S. spend more on childcare than they do on rent. That means there is a lot more to think about than just the cost. Children at daycare have a better opportunity to build social skills as they’ll be around other children more. They may be more prepared for social experiences that arise by the time they start preschool or elementary school. They may also have better access to a variety of games, books, toys and other equipment that provide opportunities to boost creativity – and, in some cases daycare centers offer additional activities like music, language or exercise. The centers must also follow state regulations in regard to sanitation and safety, making that less of a concern. Daycare, of course, isn’t perfect – being around more children means being around more germs, so your child is likely to get sick more often. When he or she does become ill, most centers have strict policies that require your child to stay home, so you’ll have to either take off work or find other arrangements. Daycare centers run on specific hours which means if you’re asked to work overtime, you may not be able to, or you’ll have to pay a steep additional charge. With a nanny in your home, you won’t have to worry about taking your child to daycare, saving precious time. The nanny will be more focused on your child’s individual needs and you’ll have more control over your child’s schedule, including what he or she is exposed to, what they eat and so on. You’ll also be able to set the hours, allowing you to start earlier or later in your work today, work overtime, or if something unforeseen occurs such as being stuck in traffic, your nanny will be with your child at home waiting. While daycare centers usually have to follow strict regulations and have teachers on staff that are educated in child development, nannies aren’t required to have specific certifications or education. You’ll need to run a background check before hiring and screen them as well. 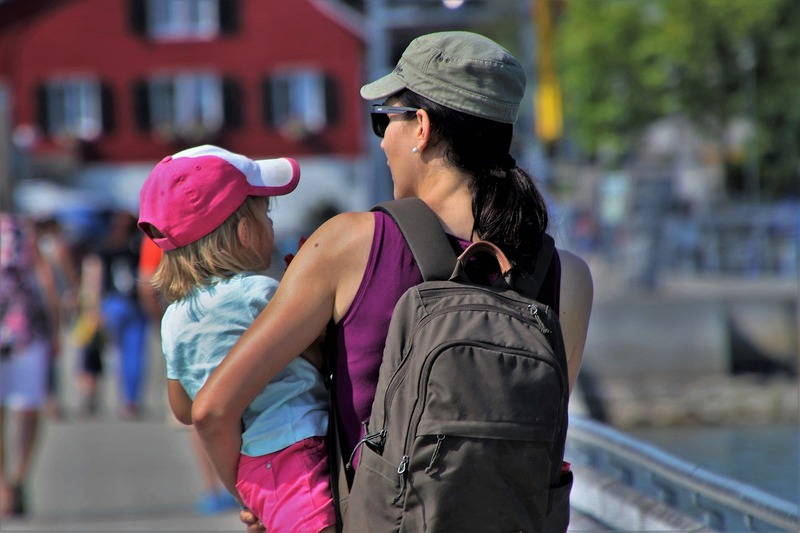 Hiring a nanny means that you’ll be their employer, paying taxes on your nanny’s salary – and you may need to provide benefits like vacation days and sick time.